In 2017, fires tore through the USA, Canada and Europe. In the summer of 2018, some of the deadliest wildfires in history raged across the United States as temperatures soared and dryness parched the land. As the Earth’s climate changes and arid conditions become more common, worldwide wildfires could be on the horizon. Wildfires aren’t anything new. They start naturally, and have done so for millenia. They’re an important part of nature, replenishing soil with nutrients and ridding the land of detritus. What’s changing is their ferocity, range and lifespan. Fires are starting earlier in the season, as dry periods become elongated into their neighbouring seasons. Persistent dry periods parch the land and the plantlife, giving fire the ideal conditions it needs to thrive. The tinder-dry vegetation allows fire to spread alarmingly fast – and the threat to people, homes and livelihoods becomes frighteningly real. And it’s not just a North American phenomenon. 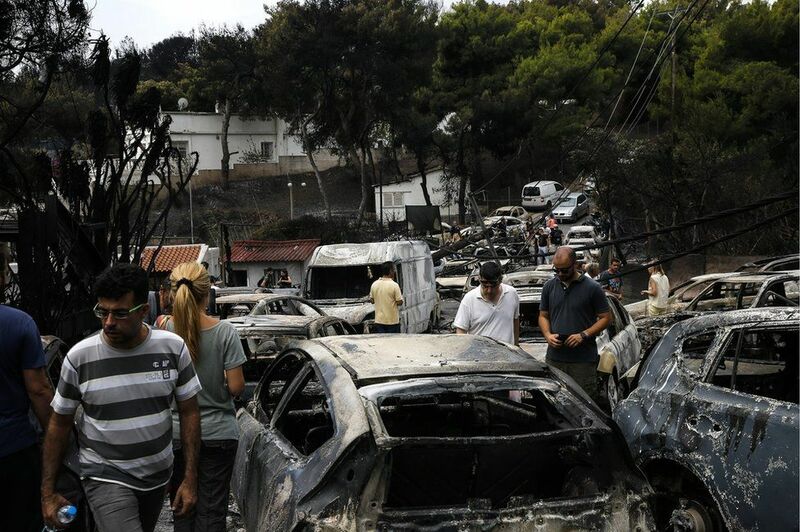 In 2018, the Greek capital was threatened by a wildfire that killed dozens as it spread – cars stuck in traffic were engulfed in flames and destroyed, wooden framed homes were torn apart and thick, noxious clouds filled the air. From central Sweden to coastal Norway, fires swept over the land. Portugal was gripped by blazes. Australia, gripped by a savage heatwave, is at extreme risk of catastrophic bushfires. Even the UK experienced a three week-long moorland fire at Saddleworth Moor. The world is changing, and it’s more vulnerable to fire than ever before. That’s why new fire safety technology is being developed to catch wildfires before they become deadly; but when the planet becomes so vulnerable that spontaneous fires are the new normal, is vigilance enough? Could the Whole World Burn? 360 million years ago, the entire planet spent much of its time on fire – long after the molten Earth had coalesced and cooled some 4.2 billion years before (when the world was literally a ball of fire). That’s because 360 million years back, plants had taken hold all over the supercontinent of Gondwana – the almost seamless, continuous landmass that poked out of the otherwise global ocean of the ancient Earth. These early plants devoured the carbon in the atmosphere, storing it in their bodies and releasing an unimaginable mass of oxygen into the atmosphere. During this period, atmospheric oxygen peaked to its highest level in history – making up 35% of the air (compared to 20.95% today). All that fuel, all that oxygen and all that space made the perfect environment fire. The rise of fire and plants are historically linked – a key turning point for life on our planet. Today, the chances of experiencing a global fire are tiny. Continents have shifted, seasons are starkly different and there’s much less vegetation – but the changing global climate is accelerating the spread and amplifying the danger of wildfires. The planet has changed over its life, many times over. It’s never changed so much, so quickly – and we’re racing to adapt to a world that gets more hostile with every turn of the seasons. At Coopers Fire, we’re always developing, testing and improving our products – to keep us at the cutting edge of fire safety in a changing world. What’s New in Fire Safety Technology?